If you like candy this much, I would hope that a bicycle is your primary mode of transportation, because I’m not sure how else you would burn off all of these calories. Even then, you would need something to help take the edge off and regulate your blood sugar. I know, I’m no fun. 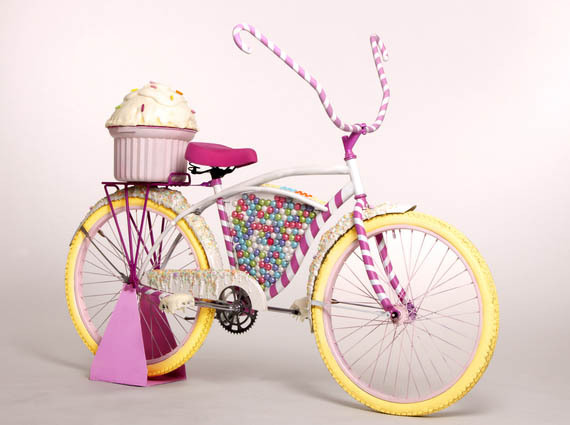 The Candy Bike, designed by art student Britta Hope, is made up of all sorts of candy, right down to the wheels, and is finished with a giant cupcake basket on the back. Nutrition aside, it certainly looks pretty and about as functional as a standard, hip fixie.